Before he ever coached a sport—and he would go on to coach many in a career that is still going strong, Terry O’Hare was an outstanding athlete. He won a state hurdles championship for St. Aloysius Academy in 1961, then lettered three times in both basketball and track at the University of Akron, where he’s a member of the Hall of Fame. He also qualified for the 1968 USA Olympic Trials. Turning to coaching, O’Hare made his home at Norwayne High, where he coached freshman football, golf and at the middle school level. He was also head basketball coach two years at Akron St. Vincent St. Mary, where he also served four seasons of track, and he was head women’s basketball coach for seven years at Wayne College. O’Hare was the boys basketball coach at Norwayne for 19 seasons and is a member of the District Four Basketball Coaches Hall of Fame. His career record of 281-172 includes four Wayne County Athletic League titles, three district titles and a regional runner-up finish. 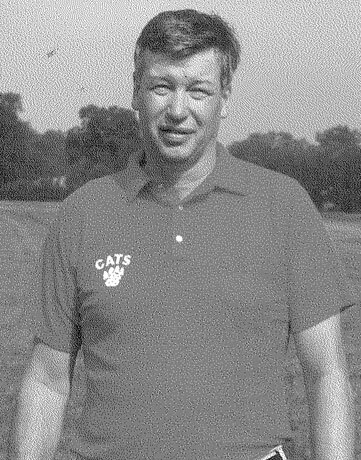 He coached three All-Ohioans and four North-South All-Star game players, a contest in which he also served as head coach. Still the cross country and girls track coach at Norwayne, where he’s been in charge for 11 seasons, O’Hare has won a pair of WCAL championships and coached four All-Ohioans in the former, plus three “unofficial” cross country crowns. O’Hare has captured 14 WCAL championships in track, with the 2010 title giving his program eight in a row. His team has not lost a regular season meet in seven years, and this spring the Bobcats also collected their seventh consecutive district championship, giving him his ninth overall. He’s also guided Norwayne to a regional crown and a trio of regional runner-up finishes. Under O’Hare, Norwayne has had enough All-Ohioans to field their own squad, including this year, with three relay teams running their way onto the podium at the state meet. Throughout O’Hare’s long tenure, Norwayne girls have made it to the state meet in all 17 events. He has now coached 24 All-Ohioans—and shows no sign of slowing down.